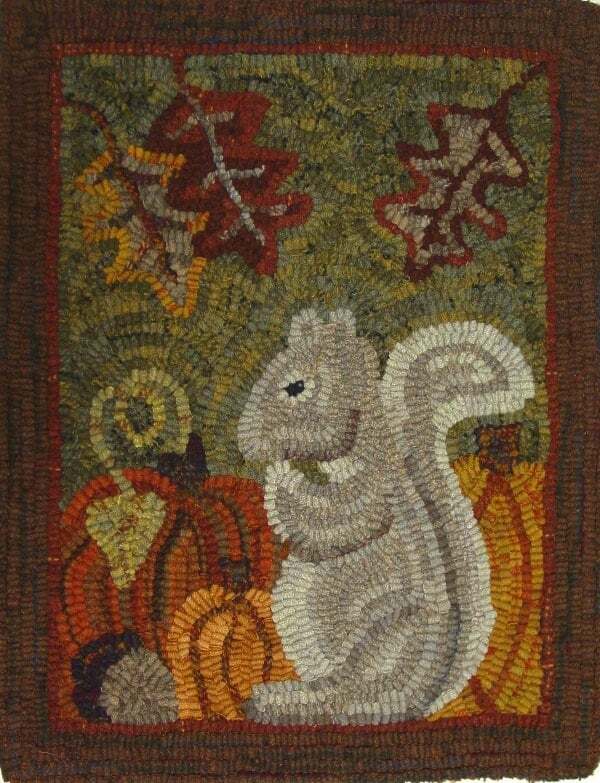 This listing is for the rug hooking pattern "Silvia Squirrel" hand drawn on primitive linen or monks cloth. This is for the pattern ONLY. The finished rug is used as an example only and is not included in the listing. The design is 14" x 18" and is hand drawn on either monks cloth or primitive linen, whichever you prefer. Monks cloth is great for all cuts of wool. 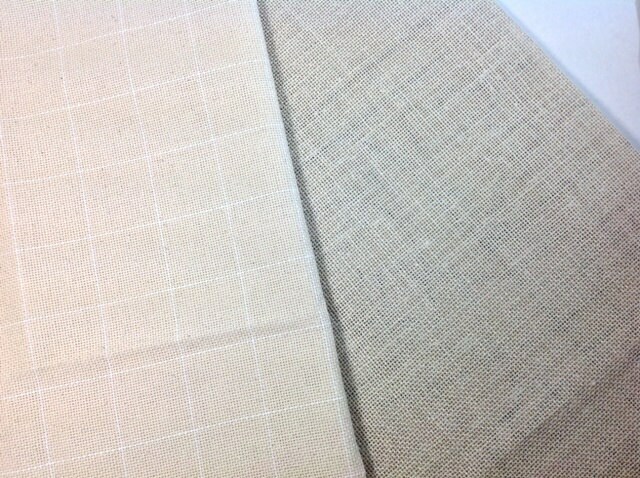 Primitive linen is better for wide cuts, #8 (1/4") and wider. The design is surrounded by a 4" border to make it fit on most lap top frames or in a 14" hoop. I have serged any outside raw edges to prevent raveling while hooking. This design was featured in Rug Hooking Magazine in the Fall of 2011. It is a fun rug to hook and a good choice for beginners. I used a #8 cut (1/4" wide strips) to hook this design. For the background I used a large plaid wool consisting of greens, golds and blacks. The pumpkins were hooked with various orange wool textures and Miss Silvia was hooked with textured grays and whites. Thanks for visiting and feel free to contact me if you have any questions. ©2017 Mary Johnson/Designs In Wool. All designs on this site are copyrighted. Very cute pattern. Quick delivery. Thanks! Great pattern, nicely finished linen. Love, love, love this cute little pattern. Thanks!